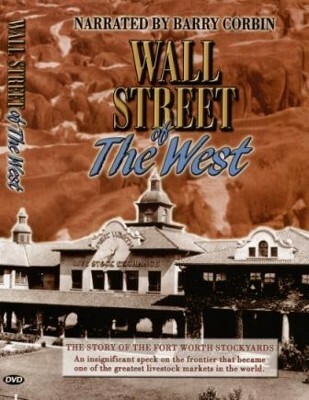 The story of the Fort Worth Stockyards was written and produced by the North Fort Worth Historical Society and the Stockyards Museum. Using professional production values and featuring narration by acclaimed western actor and Fort Worth area resident Barry Corbin, this one-hour presentation chronicles the story of the Fort Worth Stockyards National Historic District. 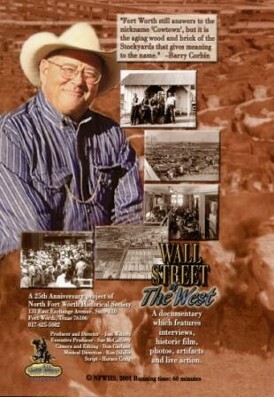 Informative and historically accurate with vintage film clips, images and historic personalities, Wall Street of the West has drawn a large audience and receives a positive viewer response. You will want to watch it over again and share with your friends.